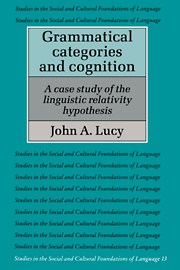 1985 Whorf's view of the linguistic mediation of thought. 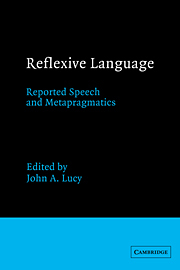 In E. Mertz and R. J. Parmentier (eds. ), Semiotic Mediation: Sociocultural and Psychological Perspectives. New York: Academic Press, pp. 73-97. Reprinted in B. Blount (Ed. 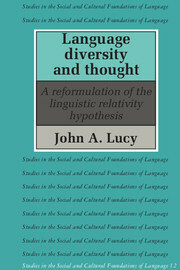 ), Language Culture, and Society: A Book of Readings (2nd ed.). Prospect Heights, IL: Waveland Press, 1995, pp. 415-438. 2001 Sapir-Whorf hypothesis. In N. Smelser and P. Baltes (eds. ), International Encyclopedia of the Social and Behavioral Sciences. Oxford: Elsevier Science, Vol. 20, pp. 13486-13490. Reissued in electronic form. (Link).